Putting food or drink anywhere in your fridge will keep it cool, but there’s an ideal place for everything. Here are our tips for getting the best out of your groceries. Due to being opened and closed constantly, the door is the warmest area of your fridge. This makes drinks and sauces, which have little problem with temperature fluctuations, ideal products to be stored here. This also means they’re easy to grab, minimising how long your fridge is open. Most fridge doors have adjustable shelving, so you can customise the space for your needs. For many of us, shoving your milk in the fridge door is a no-brainer, it slots in so well. However, if you want milk to last as long as possible, store it on the bottom shelf (towards the back if possible). This area stays colder with more consistent temperature. To avoid leaks, keep your milk bottle upright (you’ll need to adjust the shelving on some fridges to achieve this). The bottom shelves in fridges are usually glass or plastic with a lip at the front to prevent spills from messy food leaking below. This is where you should defrost frozen foods, not at room temperature on the kitchen bench or in the sink. While a slower process, food will defrost evenly with less bacterial growth. Once thawed, leftovers should be kept for no more than two days. Most fridges have at least one crisper drawer. At the bottom of the fridge, these drawers regulate humidity, which helps maintain a consistent environment so your fruit and veges stay fresher for longer. 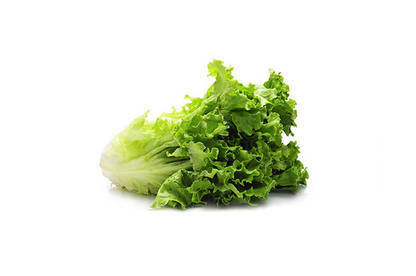 This is the best place to store fruit and vegetables such as berries, lettuce and mushrooms. A chiller’s temperature is designed to be colder than the rest of the fridge. This makes it ideal for storing raw meats, which need to be kept at a constant temperature. 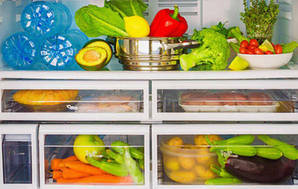 If your fridge doesn’t have a chiller, keep meat on the bottom shelf (the coldest part of your fridge) towards the back. 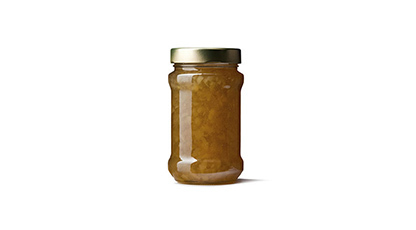 Storing meat in sealed containers reduces the risk of contaminating other foods and also keeps it fresher for longer. Few questions have sparked debate in the Consumer office more than “where’s the perfect place to store your bread?”. Some of us are pantry-only fans, while those who want their bread to last as long as possible store their loaves in the freezer (though it’s not as convenient, as you have to wait for it to defrost). A good compromise is the middle shelf of the fridge. The consistent temperature means it’ll last longer than if it was left outside (but it will still get stale as it dries out). Even if your fridge has an egg holder in the door, don’t store your eggs there. Instead, put your eggs on the middle shelf (where the temperature is more consistent). This will keep them fresher and tastier for longer. Keeping eggs, which are porous, in their carton helps prevent them from absorbing smells and losing moisture. 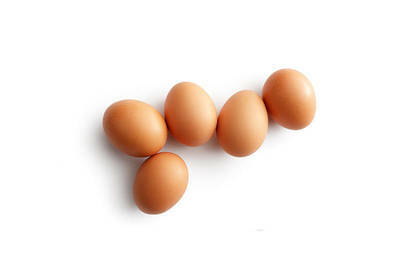 And, yes, you can store eggs at room temperature, but they won’t last as long as in the fridge. Most people’s top shelf is at eye height, which makes it great for your most frequently consumed items, such as deli meats, margarine and leftovers. It’s also a good place to keep yoghurts and soft cheeses. Butter conditioners are long gone, with dairy compartments now de rigueur for fridges. These covered compartments are ideal for storing butter and hard cheeses as they’re slightly warmer than the rest of the fridge and, despite being in the fridge door, have a more consistent temperature. Try to load up your freezer compartment. The fuller it is, the better it can regulate the temperature. If you don’t have enough food, you can freeze half-full bottles of water (don’t put in full ones, as they could explode). Never put hot food into a freezer, it will affect the temperature and quality of your frozen food. Make the right choice with our test results and buying advice. Whether you’re after a tiny apartment-sized model or a huge side-by-side for a family, we have a recommendation for you.